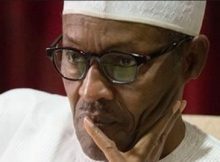 President Muhammadu Buhari has given a timeline that he may resign by a specific time if he doesn’t recover from his undisclosed illness, a credible source told Independent newspaper. President Buhari had on May 7 left Nigeria for a medical follow up in the United Kingdom, handing over the his deputy, Prof. Yemi Osinbajo. A credible source in the presidency on Tuesday told Independent that though the president has made immense improvements in the last couple of weeks, he was reported to have told his close aides recently that if he doesn’t recover by a specific date, he will tender his resignation letter.